In 2009, Costa Rica made a big announcement: it would become carbon-neutral by 2021. For a country that harbors some 5 percent of the planet’s total biodiversity, this was seen as an almost natural (and certainly noble) extension of national policy. Becoming carbon-neutral, however, is a herculean task. It’s something that no country has yet accomplished, but that several are working towards. It requires the collaboration of government, industry, and individuals both inside the country and beyond its borders. Carbon-neutrality means having zero output of carbon dioxide. This can only be accomplished by balancing CO2 outputs with CO2 inputs – or more simply, by not releasing more CO2 than you can capture or offset. Costa Rica currently emits around 14.6 million metric tons of CO2 each year. By 2021, that number is expected to reach 21.7 million tons. In order for Costa Rica to become carbon-neutral, it will needed to reduce its emissions by some 5.8 million tons over the next ten years. That’s a lofty goal. A good place to start is with agriculture. Agriculture currently accounts for around 37 percent of the Costa Rica’s emissions. Nitrous oxide, found in synthetic fertilizers, is the main culprit—it’s responsible for nearly 54 percent of the agricultural industry’s greenhouse gas (GHG) emissions. Methane, an especially potent GHG that comes from animal waste, is also problematic. And then there are the CO2 emissions associated with packaging and transportation. All told, the industry’s emissions are pretty high. Small-scale farming operations are trying to change this. These farmers are beginning to use fewer conventional fertilizers and instead opt for natural options that mix organic ingredients with animal waste. Animal waste is also being framed as less of a problem and more of a solution—the methane gas from manure is being captured and used for fuel on some farms. Not only does this reduce GHG emissions, but it also adds a free (and local) source of energy to the farm. Other farmers are trying to lower methane emissions by seeding pastures with grasses that causes cows to be less gassy. It’s not, however, only individual farmers who are heeding the carbon-neutral call—larger companies are moving in the same direction. Coopedota is a Costa Rican coffee cooperative just south of San José. In 2011, Coopedota became the world’s first carbon-neutral coffee producer. To do so, they reduced their water and energy consumption and began to generate energy from organic material. The banana and pineapple producer Dole, which has huge plantations along Costa Rica’s Caribbean coast, is also beginning to embrace carbon-neutrality. The company is working with Costa Rica’s National Forestry Financing Fund and the Ministry of Environment and Energy on a project to establish a carbon-neutral supply chain of bananas and pineapples. Dole’s carbon-neutrality would reach all the way from their production in Costa Rica to their markets in North America and Europe. This means that the amount of CO2 emitted to produce, pack, transport and distribute their fruit will be offset by the capture of CO2, thus achieving a neutral balance. As one of the world’s largest producers and distributors of fruits and vegetables, this shift in policy could persuade other companies to follow suit. Aside from its environmental benefits, the move towards carbon-neutrality may also give these companies a competitive edge in the marketplace. As going green becomes increasingly more popular (and lucrative), carbon-neutrality provides these companies with a distinct branding opportunity. Companies like Coopedota and Dole are unfortunately not the norm in Costa Rica—the majority of farmers still use conventional fertilizers and farming methods that put out more CO2 than they take in. If Costa Rica is to continue on its path towards carbon neutrality, it will need to convince more farmers to emit less CO2. Doing so may be as simple as education. Rural farmers are often unaware of new developments in eco-friendly production methods. They’re also unaware of the financial benefits of going green. For example, it can be cheaper to use animal waste for fertilizer instead of more conventional options. Farmers must first learn how to implement these practices and then have a financial incentive to do so. There are two ways to do make eco-friendly farming more lucrative: lower production costs or increase the price of goods. As consumers, we must be willing to pay higher prices for products that are made with sound environmental practices. A single tree can capture up to 48 pounds of CO2 each year and sequester nearly 1 ton by the time it’s 40 years old. What’s more, an acre of trees will absorb as much CO2 in one year as a car will emit after 26,000 miles. Put simply, more trees means less CO2 and a healthier environment. Trees not only absorb CO2, but they also stabilize watersheds and provide habitat for animals. Today, more than half of Costa Rica is forested—a big leap from 1987 when just 21 percent of the country was covered with trees. The increase is largely due to government policies emphasizing conservation. The Costa Rican government currently pays landowners to not cut down their forests and instead plant new trees—a program that is paid for in part by a five percent tax on gasoline. In doing so, this program strikes a balance between CO2-producing and CO2-reducing components. These kinds of payments are crucial for farmers and landowners who could otherwise use the land for crops or other economic activities. This, according to many people, is the kind of economic incentive that is necessary for conservation to truly take root in Costa Rica. The program, however, is often criticized as favoring large landowners, because the payments only extend to landowners with titles for land. This excludes many small farmers and indigenous peasants, who collectively own a significant amount of land but often lack an official title. For small farmers, the land is their primary source of income. In order for conservation to extend to all corners of the country, the government must find a way to pay these small landowners to conserve forests. Government officials also have plans to convert land that’s currently used for cattle ranching and coffee farming into forests by planting some 7 million trees. The trees will eventually be used for lumber and the land will be replanted with new forests. In addition to planting new trees or conserving old ones, some landowners are finding creative ways to increase their forested acreage. A simple strategy is to plant trees in place of fences. Despite all the new trees being planted, Costa Rica still has a long way to go before its forests will absorb all the CO2 it produces. In 2005 Costa Rica produced around 12.5 million metric tons of CO2, but its trees only absorbed about 2.5 million metric tons. That’s a fivefold difference. Deforestation isn’t as bad as it once was in Costa Rica, but it still exists. Slash and burn agriculture – often used as a way to clear land for cattle – is practiced in some areas despite being illegal. Conservation laws have been passed, but the government often lacks the resources to enforce them. A decentralized approach to conservation, which allows local governance and management of protected areas, is promoted as a solution. This is successfully practiced in parts of the country and has the potential to drastically reduce illegal deforestation. If trees are to keep pace with rising CO2 levels, more forests will need to be seeded. The government must also find additional ways to secure payments for farmers and landowners who plant or conserve their forests. Incentivizing conservation could have powerful (and relatively rapid) effects. As Costa Rica’s middle class expands, more people are buying cars—in fact, over the past 20 years, the number of cars in Costa Rica has grown by almost 600 percent. With this in mind, the government is promoting fuel-efficient options, including electric, hybrid, and flex-fuel models. Costa Rica’s transportation sector will play a huge role in reducing CO2 emissions, and there are plans underway to change public transportation. Some officials want buses and taxis converted into zero-emission vehicles. That’s a lofty goal, but it might just happen—new policies mixing market incentives with stricter emission regulations are being rolled out. The new emission standards will require bus and taxi operators to obey tougher regulations on both sound and air pollution. Researchers at the National University of Costa Rica are working with the United Nations Development Program to estimate the costs of adjusting the transportation system. They’re figuring out how to shift public transportation to cleaner technologies and are building models to give bus and taxi owners an idea of what the change will look like. At the end of the day, however, consumers will make the biggest difference. By electing to ride in greener vehicles, consumers can make zero-emissions taxis and buses profitable for their owners. That may encourage other taxi and bus owners to follow suit. Carbon emissions associated with domestic and international flights must also be tackled. The Climate Conscious Travelers program aims to do just this. 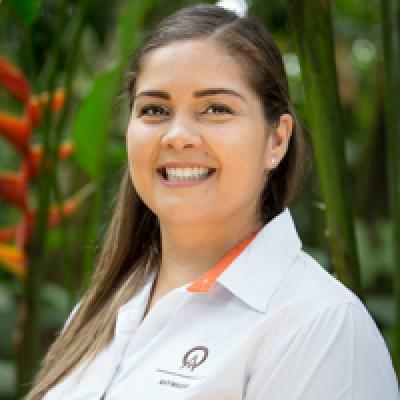 Established in 2009 by the Costa Rican National Chamber of Tourism, the program’s goal is to offset 20 percent of flight emissions to and from Costa Rica. The program is voluntary and essentially offers international travelers the option of paying to offset the CO2 that’s emitted during their flight—at $10 per ton of CO2. The proceeds are then used to fund reforestation, conservation, and research in protected areas. Critics argue, however, that the country’s popularity with tourists is placing increased strain on its natural ecosystems. Development, they say, is simply moving too fast for the country to handle. Some places, particularly the northwestern reaches of the Guanacaste region, have already experienced overdevelopment. New resorts and roads not only disrupt the natural landscape, but also add more carbon emissions through their construction and day-to-day maintenance. Finding a way to balance a healthy tourism economy with CO2 reduction strategies will be crucial during the coming years. From 2014–2018 Costa Rica will enact its second phase of the carbon-neutral plan. This will entail additional investment in renewable energy, improvements in waste disposal, and water treatment. That may mean converting old landfills into energy sources by capturing the methane gas that the landfills emit. Methane can be used to fuel power plants, vehicles, manufacturing facilities, and more. During the final phase of the carbon-neutral plan (which is slated for 2018-2021), government officials want to focus on advanced energy and sustainable infrastructure and construction projects. A smart-grid, which will allow for two-way communication between utilities and their customers, is on the table. A smart-grid is no piece of cake to engineer, but if done right it will result in a much more efficient use of electricity. The government knows that a transition to a low-carbon economy will depend on business. That’s part of the reason they’ve developed the “C-Neutral” standard, which sets a common standard for carbon-neutral certification. The standard establishes the necessary practices, requirements, and methodologies that a company needs to follow to become C-Neutral certified. The Carbon Neutral Program, launched in 2012, uses various procedures to estimate and certify the carbon footprint of companies and has suggestions for offsetting carbon emissions. As of 2013, seven companies were certified as C-Neutral and another sixteen are in the process of obtaining the label. Some officials balk at the idea of becoming carbon-neutral by 2021, a date which also happens to be Costa Rica’s 200th anniversary. There simply isn’t enough time, money, or resources, they say—it makes more sense to shoot for 2030 or even 2050. Whatever the result, Costa Rica’s ambition to become carbon-neutral has inspired other countries to follow suit. The list of nations currently working towards carbon-neutrality includes Norway, Denmark, New Zealand, Iceland, Maldives, British Columbia, Vatican City, Bhutan, and Monaco. The trend towards carbon-neutrality is in itself a victory—simply starting the conversation is valuable. Even so, the fight to significantly lower carbon emissions is only just beginning. The work will be long and difficult and messy. But considering the stakes (Earth), it’s a fight worth having. Learn more about what a carbon footprint is and calculate your own carbon footprint when you visit My Climate Organization's website.